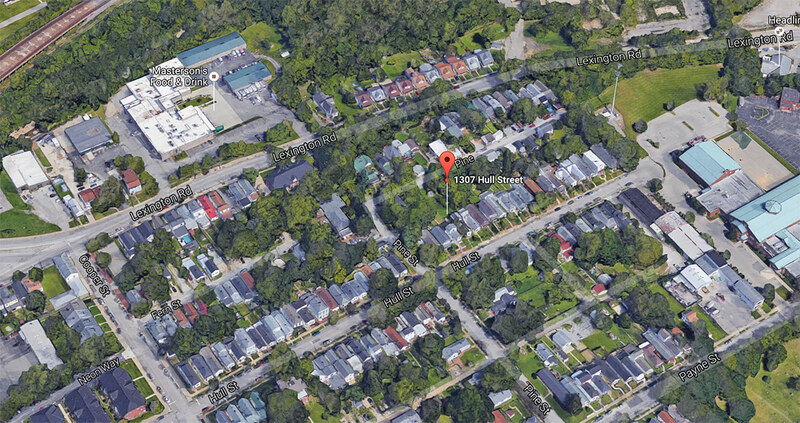 A wrecking permit (WR990477) has been requested for a house at 1307 Hull Street in Irish Hill near the intersection of Pine Street. The 1,455-square-foot wooden camelback shotgun house sits on a 0.12-acre lot and was likely built in the late 19th century. According to listings, the house contains three bedrooms and one bathroom. The property is owned by Clark House, LLC, which, according to the Secretary of State, was organized this past May by Graham Clark, a developer and builder who has built houses nearby. The house sold this past June for $58,000. According to listing photos, the house was in poor condition. Demolition can take place beginning September 1, 2016. If you’d like additional information about this case, you can contact Mike Beard, Plan Review Supervisor, at 502-574-3321 or Cynthia Johnson, Metro Historic Preservation Officer, at 502-574-2868.